The Children’s Hospital Urgent Care Clinic closed effective October 31, 2016. For non-emergency medical care, please take your child to his/her primary care provider. 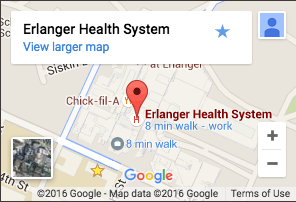 For emergency care, please take your child to the Emergency Department located on the first floor of Children’s Hospital at Erlanger.